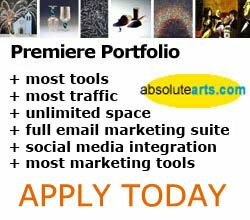 "Art Director or Art Directors Needed for First International Art Manifestation"
CAPE is a biennial programme that is not just another biennale. CAPE uses Cape Town as a laboratory and catalyst for contemporary African cultural interventions and art practices. Cape critically explores the tensions between local cultural practices and global art circuits. CAPE is looking for an Art Director or Art Directors� Team for its first international art manifestation, set to take place in Cape Town during September 2006. The Art Director or Art Directors� Team will develop a manifestation of art works, practices, and interventions that engages with the texture of Cape Town, and that explores contemporary African art as an expansive field of practice. For application details and guidelines, please visit www.capeafrica.org. Registration has now also opened for SESSIONS eKAPA 2005, an international art meeting held at the Cape Town International Convention Centre, Cape Town, on 4-6 December 2005, and with the theme of "Mzantsi: (Re)Locating Contemporary African Art Practice". SESSIONS eKAPA 2005 features an intensive 3 day programme of dialogues and workshops, panel discussion and site specific minilaboratories devoted to contemporary art practice in Africa, exploring specifically the interface between local art practices and global art circuits. The meeting forms an integral part of the development of the 2006 manifestation. Speakers range from leading art theorists, writers and curators to cultural provocateurs from diverse disciplines and African forums. Discussions explore new models of large scale curation and alternatives to the international exhibition, transgressions of the boundaries of contemporary art and activism, and cutting edge African forums for multidisciplinarity and networking. Seats for SESSIONS eKAPA 2005 are limited. For further details, visit www.capeafrica.org. To register, contact the conference secretariat, Kashief Gamieldien, at kashief@tribalco.co.za or +27 (0) 21 697 0180. Early registration is discounted, but closes on 28 October.